A delightful compliment to coffee, tea, or just “out-of-hand”. This crisp, buttery, melt-in-your-mouth shortbread mix is a sure family favorite. “We researched extensively in Scotland before returning to the US to develop the perfect shortbread mix – Garvey’s Best of Britain Shortbread Mix. An easy to use mix, simply add softened butter to produce tasty, melt-in-your-mouth shortbread. Our shortbread is delicious and sure to please all members of your family. 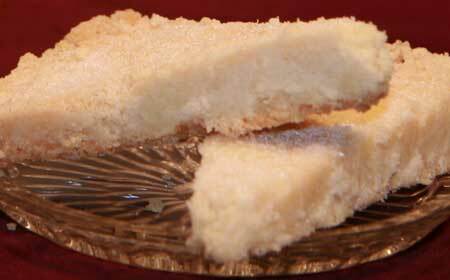 Shortbread is perfect as a desert, or as a snack with a hot cup of tea, or coffee. Required: 1 box, Garvey's Best of Britain Shortbread Mix, 1 stick room soft butter (4 oz.). Yield: 12 (1 oz.) wedges or 2 pie shells. Serve: with tea, coffee, or great by themselves. Knuckle firmly into desired pan. Roll to even and smooth. Prick all over with fork or angel food cake cutter. Sprinkle lightly with granulated sugar.